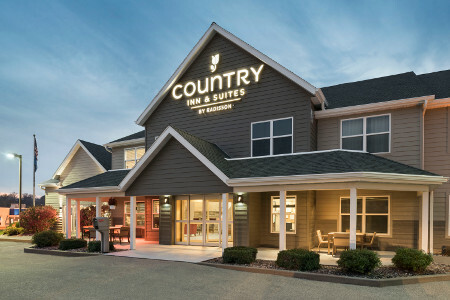 Conveniently located off Business Highway 151, the Country Inn & Suites® by Radisson, Platteville, WI is less than a mile from the University of Wisconsin–Platteville. Take a leisurely stroll up South Water Street to enjoy downtown’s charming shops, and pop into a nearby restaurant for a great meal. 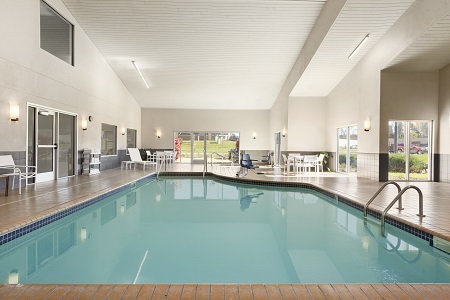 If you’re traveling with kids, visit The Mining & Rollo Jamison Museums for educational fun before lounging by our indoor pool and hot tub. Traveling for work? 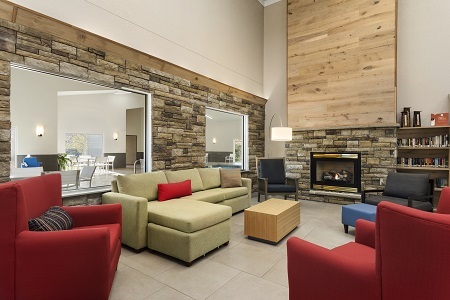 Stay productive in our well-equipped business center and check emails with free Wi-Fi. 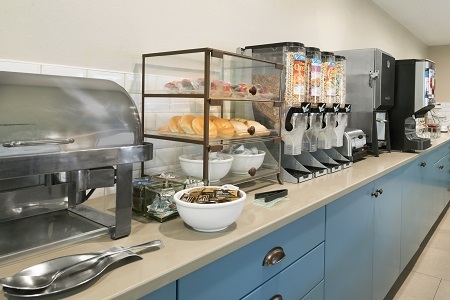 Visit our breakfast room each morning for our complimentary, hot breakfast. We offer a variety of treats to keep everyone in your family happy, from fresh fruit and juice to eggs and Belgian waffles. For lunch and dinner, find something to satisfy any craving at nearby restaurants like Los Amigos and Steve’s Pizza Palace. For a special night out, make your way to Benvenuto’s Italian Grill. 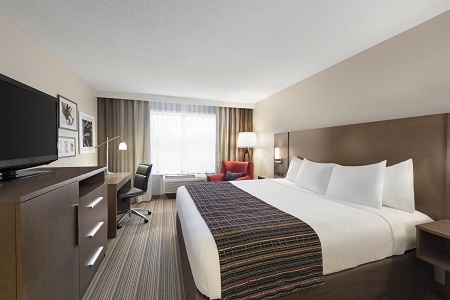 University of Wisconsin–Platteville – Less than a mile from campus, our hotel offers convenient stays for families attending graduation or touring the campus of UW–Platteville. Check the schedule for Division III sporting events, and cheer on the Pioneers while you’re in town. The Mining & Rollo Jamison Museums – Located about half a mile from the hotel in Platteville’s historic district, these two museums pay tribute to the town’s lead and zinc mining heritage. Find out about Southwest Wisconsin through artifacts collected over more than 70 years. Governor Dodge State Park – Drive about 30 minutes to Dodgeville to observe 150 species of birds and a huge variety of animals at this state park. Enjoy hiking, fishing, boating and swimming at both of the park’s beautiful lakes.